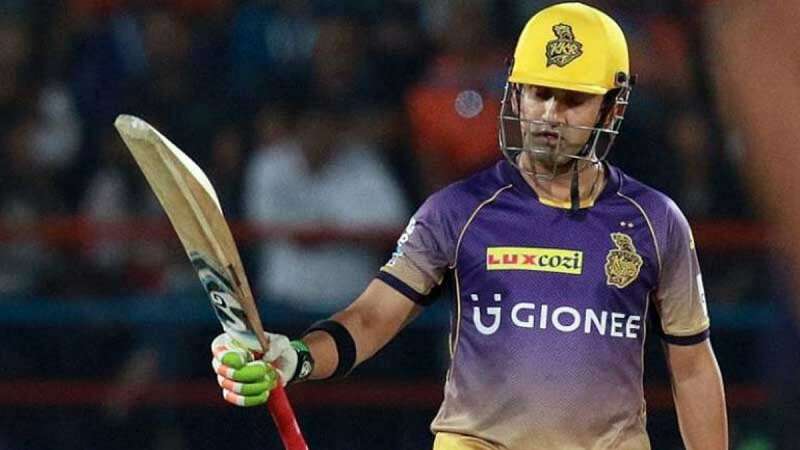 Jaipur : Former India opener Gautam Gambhir was amazed as veteran Yuvraj Singh went unsold in the first round of the Indian Premier League (IPL) auction on Tuesday, but believed the swashbuckling left-hander will surely be picked in the next round. For the first time this year, Yuvraj had reduced his base price to Rs 1 crore. However, no franchise showed interest in picking the sixer king. The 37-year-old cricketer will be brought back in the auction pool later in the evening. "I am surprised no team opted to pick him, he might not be able to do what he used to earlier or to perform the same way, but on a good day, Yuvraj can single-handedly win matches for his team," Gambhir was quoted as saying by IPL's official broadcaster Star Sports. "In my observation the teams are currently being safe and picking their first set of players, and I am confident he will be sold in the second round," the former cricketer opined. Yuvraj, who has featured for four franchises -- Kings XI Punjab, Delhi Capitals, Royal Challengers Bangalore and Sunrisers Hyderabad -- till now, was the most expensive player in the history of the IPL auctions when Delhi Capitals, earlier known as Delhi Daredevils, spent a whopping Rs 16 crore for the all-rounder in 2015.